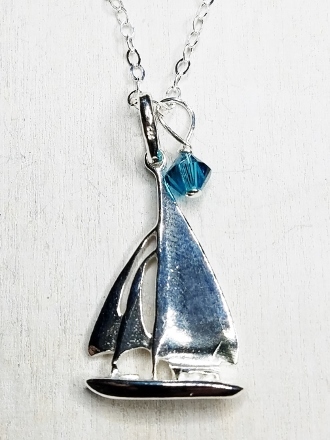 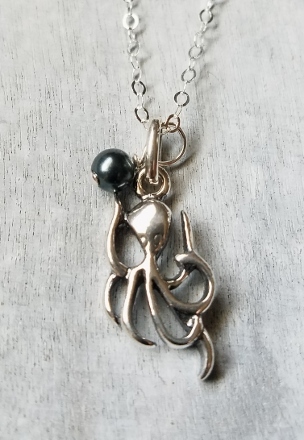 Sail Away with these sterling silver sail boat necklace! 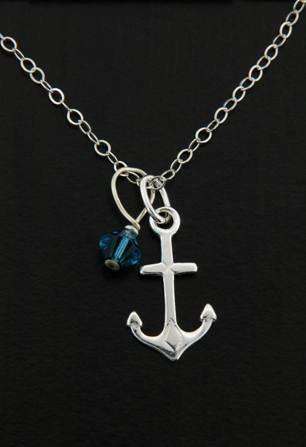 Polish sterling silver sail boat charm comes with Indicolite Swarovski Crystal ELEMENTS for an added nautical charm. 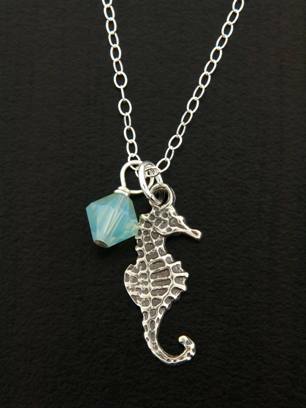 Sterling silver cable chain in 18" with spring clasp.